Teaching preschool students numbers is very important. They will use numbers for the rest of the preschool curriculum. Using arts and crafts is a great way for preschoolers to grasp the number concept. 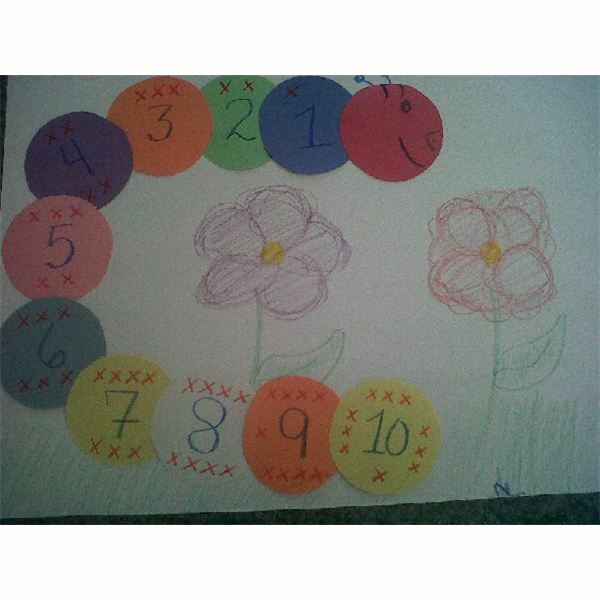 This preschool numbers craft is a fun, easy, and exciting to look at project. Have the students cut out circle shapes, or hand the students pre-cut circle shapes. Ask the students to write the numbers 1 through 10, or your choice on numbers, onto the circles. One number per circle. Having the students draw a small circle, a small x, or another shape to represent the number can also be helpful for students to see when learning numbers. Using the large piece of paper allow the students to draw a nice scenery using crayons. Students can glue the circles onto their large paper in a caterpillars body shape. Students now have a fun caterpillar to help them with their number learning! This craft can be used in many variations, trains, cars, spider legs, or paper chains. This craft uses more supplies and a bit more work, but the outcome is fun and educational. Counting the Fish in a Bowl is another great preschool numbers craft. Decorations – feathers, paint, crayons, beads, etc. Depending on the age of the students, give each student 5 to 10 pieces of multiple colored construction paper. Ask the students to cut out fish shaped designs. A faster approach is to pre-cut the fish shapes for the students. Students can add eyes to their fish if desired. 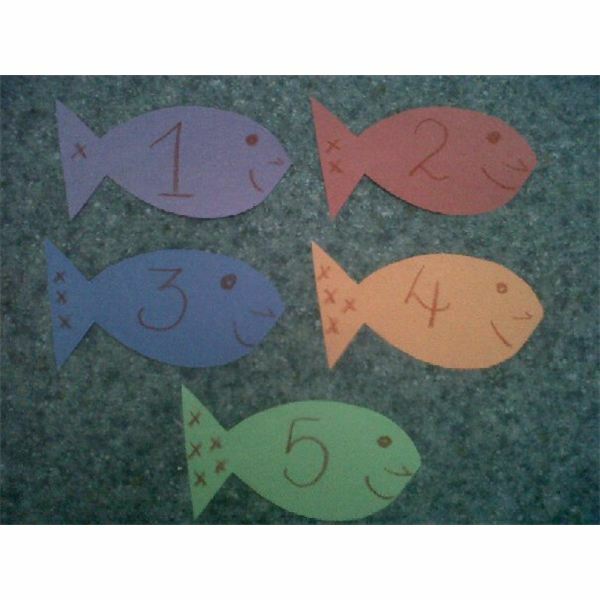 Students can add one number to their fish. 1 through 5 or 10, your choice. Now it is time to create the fish bowl. One option is to use an empty tissue box. Cut out the sides and top of the tissue box. Students can decorate their fish bowls as desired. Once their fish bowls and fish are ready just drop the fish into the bowl and pick one fish out at a time. Ask the students to tell the class what number they have pulled out. Make the fish 'jump' into the fish bowl one at a time while you count as a class the number of fish entering the bowl. Students can take home their fish bowls and practice counting! There are many fun preschool numbers craft ideas to help students with counting, but even basic gaming ideas can be a great help to those little minds. Drawing numbers on the chalk board, and connect the numbers can be a lot of fun to preschoolers. First School provides many connect the numbers download sheets for preschooler students. Be creative and have fun teaching preschoolers their numbers!